This is for a Wisp Black Iron Wall Sconce Dramatic Wall Decor from Shopatusm. 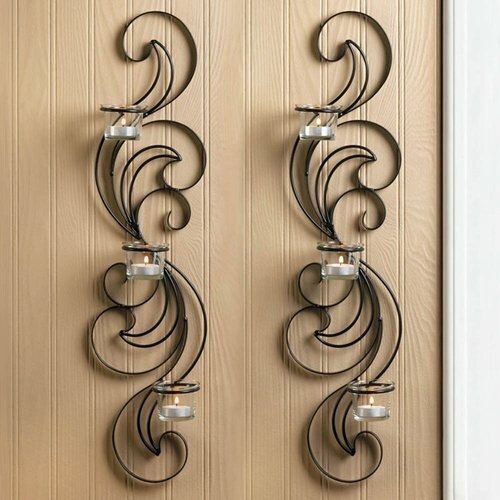 Wisps of curling black iron billow up and out to create a magnificent set of wall sconces that will add some sizzle to your decor. Each sconce features three clear glass candle cups that are waiting to be filled with the candles of your choice. Item weight: 1.6 lbs. 6 7/8" x 2 7/8" x 24 1/2" high. Iron and glass. Candles not included.